Gotham Chopra says Religion of Sports' new Why Sports Matter podcast picks stories with "heart"
There are several episodes of that podcast already available on iTunes, their website and more, and further episodes are coming each week, with the first season comprising eight total episodes. Episodes released so far cover mountain climbing and mortality, tribalism, sports and politics, and healing from the Humboldt bus crash. Chopra recently spoke to AA by e-mail and said he dove into podcasting because of his own love of the format. He said the audio medium leads to very different approaches and choices than his TV work. Chopra added he finds it important to consider the listener, and to avoid making podcasts overly scripted. There are a ton of potential sports stories out there to pick from, but Chopra said the key focus for “Why Sports Matter” is not the stories everyone else is talking about. Instead, he chooses stories with “heart,” and also stories they can explore in-depth with substantial access. Chopra said he hopes these podcasts will find an audience that enjoys them, and spread further that way. 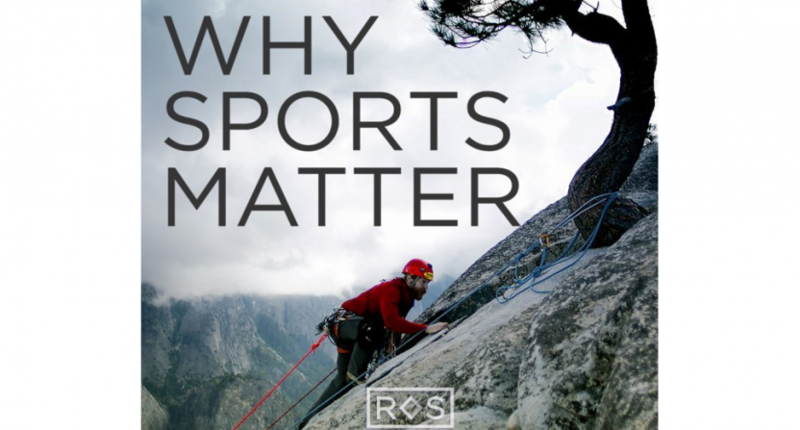 The Why Sports Matter podcasts can be found on iTunes or on the Religion of Sports website.